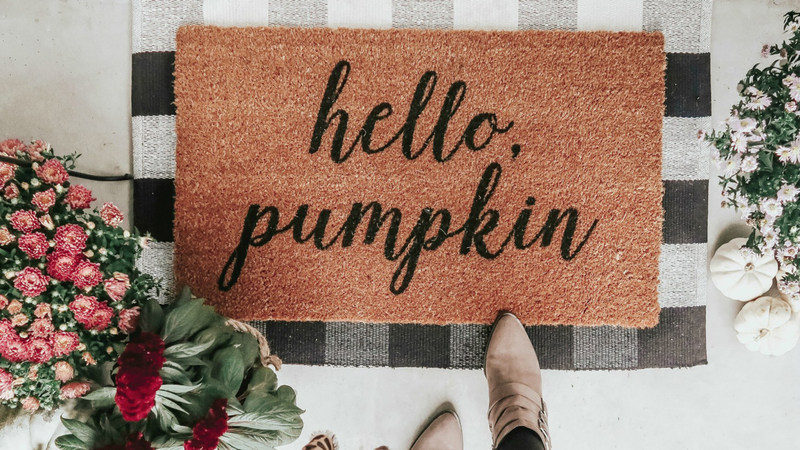 Since your front door basically serves as your home's welcoming committee, you want it to be inviting. First impressions are important, right? 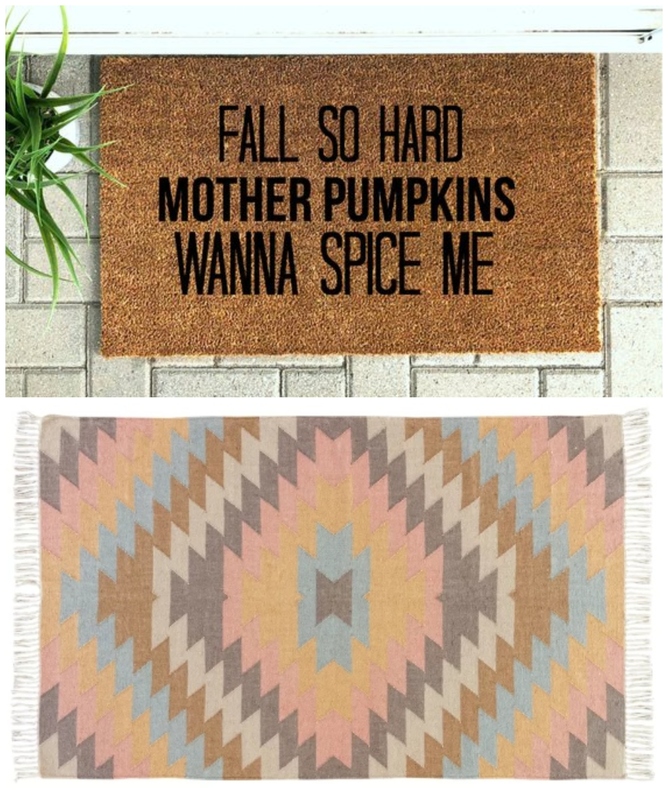 And one of the quickest and easiest ways to win over anyone who comes knockin' is through a few well-placed doormats. Yes, we said a few. Let us explain. You've likely seen this layered look popping up all over your Instagram feed without realizing it has become a bona fide fall trend. 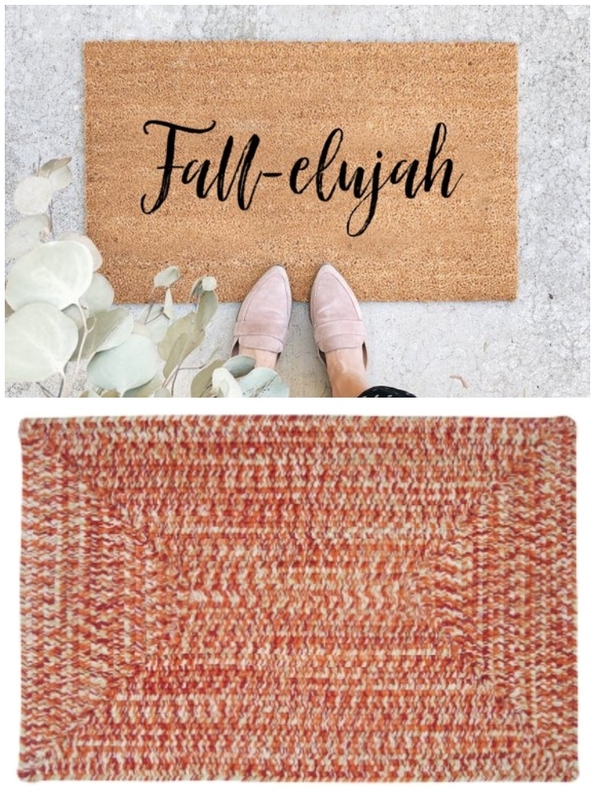 So, here's what you need to know — people have really, ahem, fallen (sorry, couldn't resist) for doubling down in the doormat department. 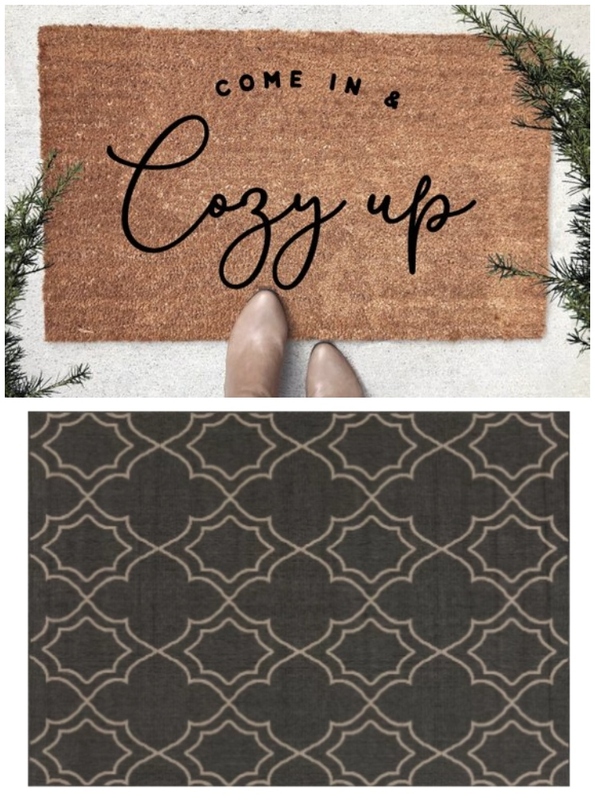 By layering a doormat with a slightly larger area rug, you can create a cozier vibe that basically makes your stoop feel like another extension of your indoor decor. That's not all to love about this trend either. For starters, if you fall in love with two rugs and/or a doormat-rug combo while you're doing a little online shopping, you no longer have to go through the agonizing process of picking just one. Another perk? 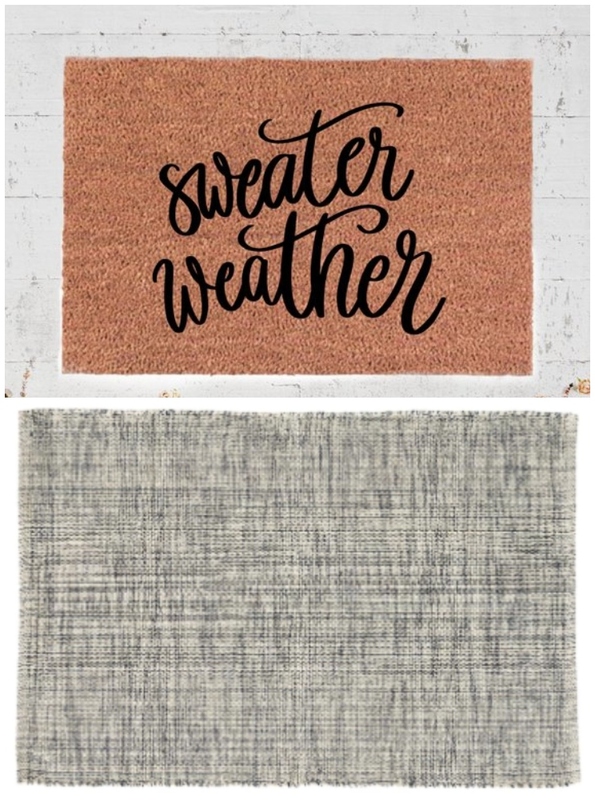 Layering makes it super-easy to change things up according to the season or your mood — simply swap out either the doormat or the rug beneath it with something fresh. Start with a flat cotton weave and then add a slightly smaller coir on top. We're especially fans of top layers with witty welcome greetings. And finally, our personal favorite aspect: There are no rules! You can mix and match colors, patterns, textures and sizes to your heart's content to get a look you love. We've put together some sample combos for you here, but feel free to get creative and swap out the pairings to come up with combos that suit your fall style. Image: The Cotton Mill/Etsy, Wayfair. A quatrefoil design against the charcoal-colored background of Alcott Hill's Amato rug makes the "cozy" sentiment of this statement rug stand out. 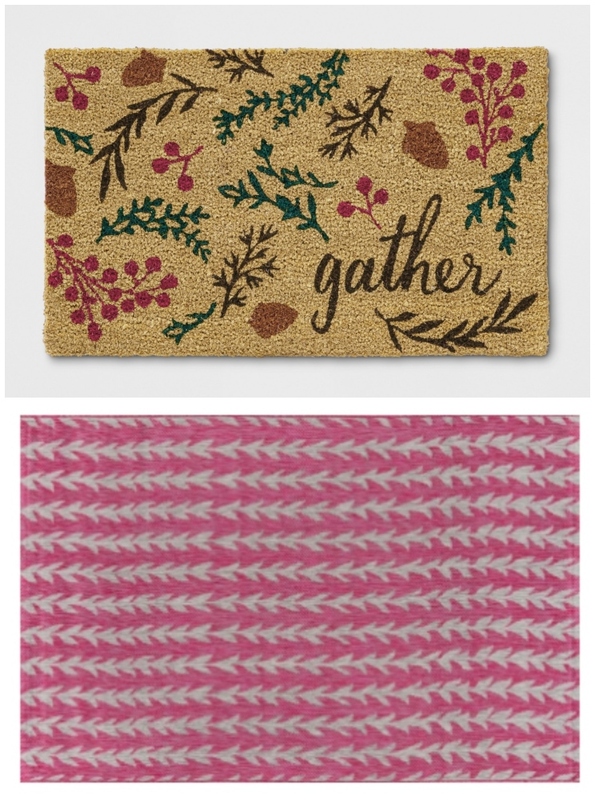 If you're the type who lives for fall foliage, you'll love this bright and colorful combo that includes punches of hot pink, olive green and brown. Image: Stroll the City/Etsy, AllModern. When you think of fall, you think of sweater weather. And when you think of sweater weather, you think of something chunky and comfy — which is precisely why these two work wonderfully in tandem. Calling all lovers of buffalo plaid! 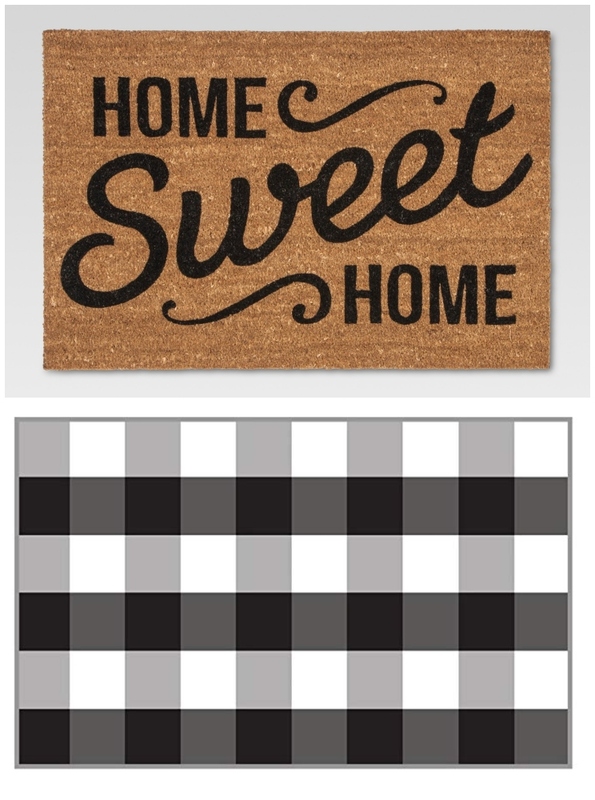 This perfectly on-trend pattern pairs well with a sweet vintage-modern statement doormat. Image: Sky to Sea Creative Co./Etsy, Wayfair. Every time you step up to your stoop, this rich-hued combo will remind you just how lucky we are it's finally fall. 'Tis the season of pumpkin spice and everything nice, and that includes this charming twosome on your doorstep. Image: Sip Hip Hooray/Etsy, Amazon. When you're counting your many blessings, don't forget to add this simple yet chic pairing to the list. 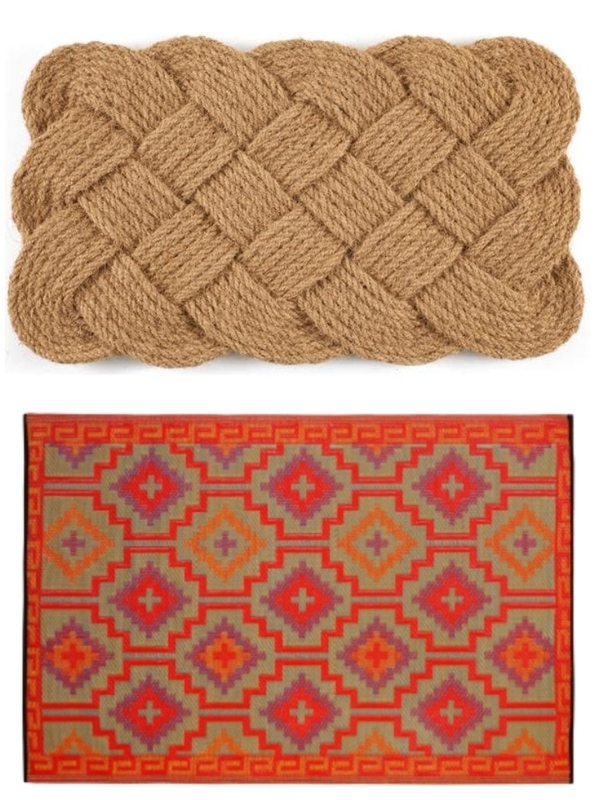 If statement doormats aren't your thing, let texture do the talking with this hand-woven "Knot-ical" coconut fiber doormat. Add extra interest with a bright, funky fall-hued area rug behind. One word: grateful. One word that speaks volumes. 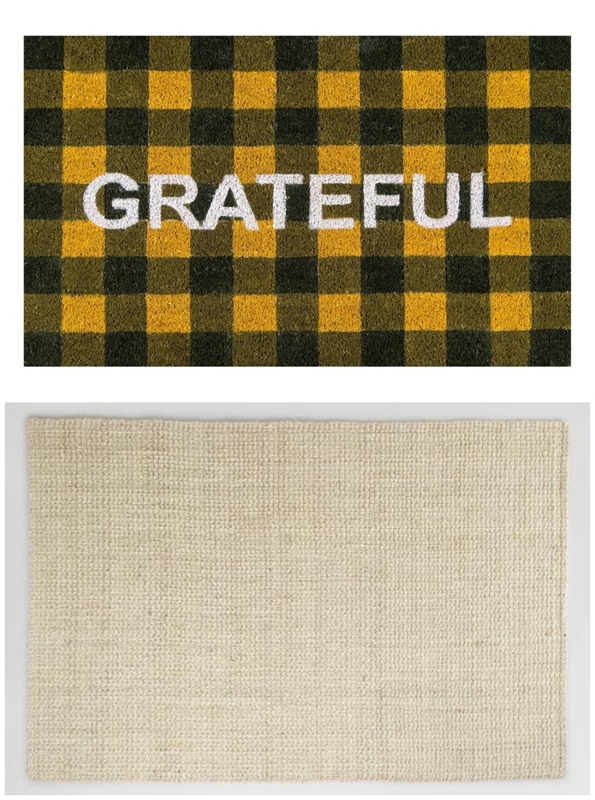 This bold doormat doesn't need much adornment, making a neutral jute rug a natural backdrop. 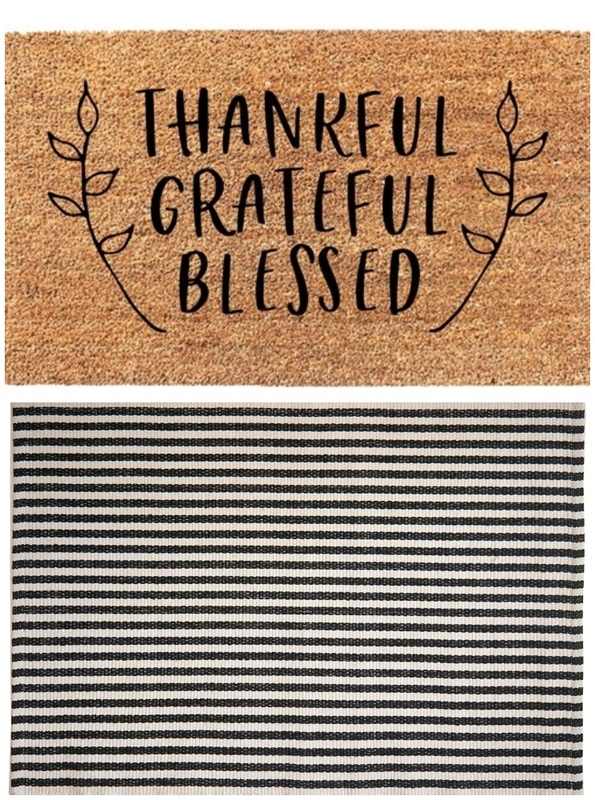 Image: Olive Creative Co./Etsy, Wayfair. Anyone who crosses this threshold will expect nothing less than a home straight out of the pages of a magazine. Image: Blue Mill Studio/Etsy, Wayfair. 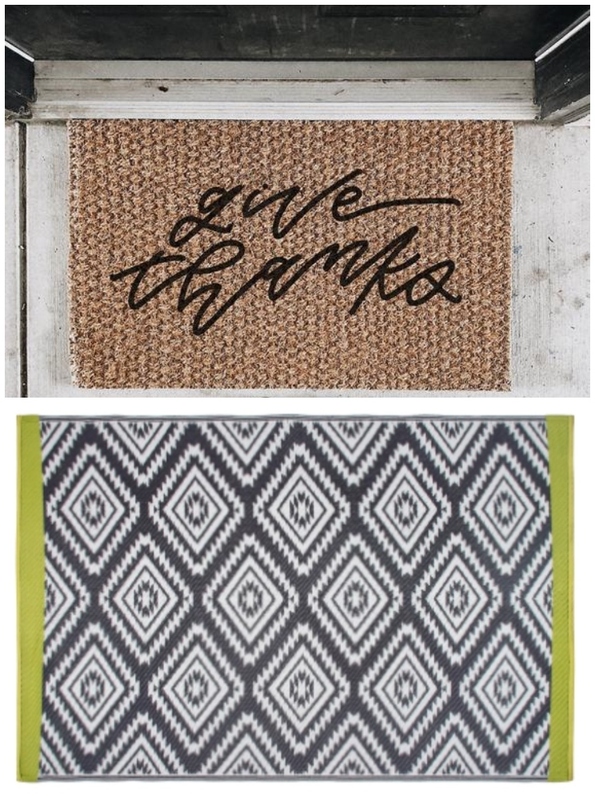 Between the woven texture and sophisticated font on this statement doormat and the area rug's vibrant ikat pattern (plus a pop of green! ), this combo boasts tons of visual interest. 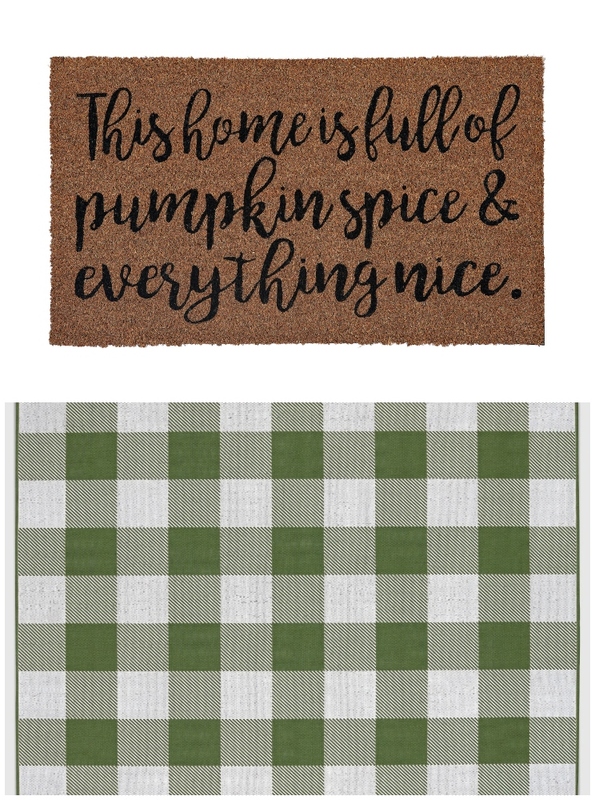 Image: The Minted Grove/Etsy, Wayfair. 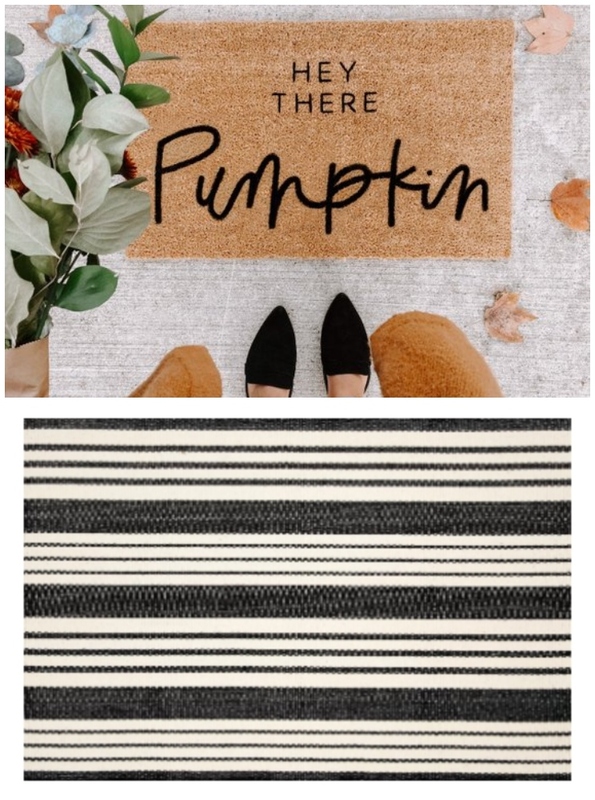 We're not sure what we love more — the hilariously punny doormat or the oh-so-beautiful handwoven area rug from Laurel Foundry Modern Farmhouse.